There is a lot of talk, these days, about the War on Christmas by secular Grinches who are somehow offended when someone says “Merry Christmas”. 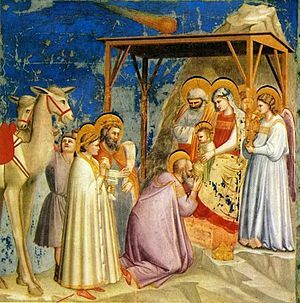 As Christians, we should remember the importance of Christmas and should fight against the increasing marginalization of the Judeo-Christian worldview that this nation was founded upon. Still, we should also remember that Christ’s death and resurrection was the reason he came into the world. If Jesus is the reason for Christmas, Good Friday and Easter are the reason for Jesus. We should remember Christ on the cross as well as baby Jesus in the manger. Last week, President Trump announced that the United States would recognise Jerusalem as the capital of the State of Israel and that the American embassy would relocate there. This shouldn’t be a controversial move. Jerusalem is the seat of the Israeli government and it is customary for an embassy to a particular nation to be located in that nation’s capital. There is also the matter that the Jerusalem Embassy Act of 1995 requires the United States to locate its embassy in Jerusalem. The only reason that the US embassy remains in Tel Aviv is that every six months the president has been signing a waiver delaying enforcement of that law. President Trump has simply decided to enforce existing law and recognise the reality that Israel will not yield Jerusalem no matter how many UN resolutions are adopted. Moving the embassy shouldn’t be a controversial move, yet because it concerns Israel, of course it is a controversial move. I am not going to get into the pros and cons of moving the embassy. It may or may not be a good idea. I just want to point out that the objections to moving the embassy seems to have two motives. The first motive is just the plain, old anti-Semitism that most criticism of Israel is based on. Israel,as a nation has its faults and can be justly criticized on many grounds, yet the tendency to single Israel out as an aggressive violator of human rights while ignoring the far worse actions of its enemies may be a good indication that the critic is less interested in peace or social justice than in attacking the Jews. The other motive for objecting to moving the embassy is that it is upsetting the status quo, the established framework for thinking about policies in the Middle East. Acknowledging the reality that Jerusalem is the capital of Israel upsets the system of polite lies and ritual platitudes that everyone says to get along even if they know the statements do not accord with reality. Moving the embassy will damage the peace process, the critics assert, and it will provoke violence at home and abroad. I wonder it if has occurred to the critics that the prevailing orthodoxies are not really working anymore. The peace process has been effectively dead for years. Essentially the Palestinians want Israel to be destroyed and the Israelis do not want to be destroyed. There is not much room for compromise there. As long as the Palestinians believe there is any chance at all that foreign pressure will weaken Israel to the point that it can be destroyed, there will not be peace. As long as everyone pretends that both sides sincerely want peace, there will not be peace. It may be that by showing that the United States stands firmly behind Israel, and will not allow Israel to be destroyed, that Israel’s enemies will finally understand that Israel is not going anywhere, that they will never be able to remove the State of Israel, and that they will simply, somehow come to terms with that fact, will there be any hope for peace in the region. In fact, many of Israel’s enemies; Egypt, Jordan, Saudi Arabia have already quietly come to accept the existence of Israel, and even see Israel as a valuable, though clandestine, ally against the real enemies of peace in the region; ISIS, al Qaeda, Iran. Perhaps, by moving the embassy to Jerusalem, Donald Trump has done more to realize the dream of peace in the Middle East than many of his predecessors. So far, there doesn’t seem to be the explosion of violence across the Middle East that the critics feared. This is obviously good and it perhaps suggests that outside of Palestine, the “Arab street” is not so obsessed with Israel as is generally supposed. But, even if had been increased levels of violence as a result of Trump’s announcement, that is not a very good reason not to move the embassy. Again, I wonder if it has occurred to the critics that adjusting our policies whenever someone threatens violence is not a good idea over the long term and will only encourage such threats. Here again, the years old practice of caving in and self censoring to appease violent barbarians and then pretending that we are doing no such thing does not serve us all that well. When I came into office, I promised to look at the world’s challenges with open eyes and very fresh thinking. We cannot solve our problems by making the same failed assumptions and repeating the same failed strategies of the past. Old challenges demand new approaches. The old ways are not working so it is time to try new ways. This seems to be the theme behind a lot of what President Trump is trying to do, and this seems to be the reason why a lot of people, who perhaps benefit from the failed status quo, really hate him. We badly need leaders who will challenge the status quo if we want America to continue to be great. Trump is probably not the best man for the job. There is much to object to in his approach. Unfortunately, we don’t seem to be producing George Washingtons or Abraham Lincolns in this country. We are producing Donald Trumps, and as a former Secretary of Defense put it, “You go to war with the Army you have. They’re not the Army you might want or wish to have at a later time.” and of course, “If you are not criticized, you may not be doing much”. By that last standard, Trump must be doing more than any other president. Hanukah begins at sunset today, so I thought I would write a little about this holiday. Hanukah is the Jewish Festival of Lights. It is an eight day celebration which lasts from the twenty-fifth day on Kislev to the second day of Tevet. Since the Hebrew calendar is a lunisolar calendar, the days float around from November to December in the Gregorian calendar. 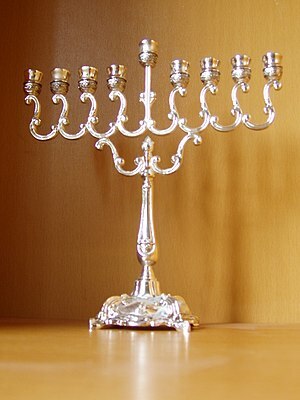 This year the days of Hanukah are celebrated December 12-20. Hanukkah was not a major holiday in the Jewish calendar, unlike Passover or the High Holy Days. The festival has increased in importance among North American Jews because of its proximity to Christmas. There is even a tendency among Gentiles to regard Hanukkah as some sort of Jewish Christmas. This is unfortunate, since the backgrounds of the two holidays are quite different. The story of Hanukkah is one of the Jewish people fighting for their freedom to worship God in their own way. I think this story is inspiring and worth learning, both for Jews and Gentiles. The history goes back to the time of Alexander the Great. He conquered the Persian Empire in one of the most remarkable military campaigns in history. Unfortunately, when he died in 323 BC, he left no provision for any successors and so his generals fought among themselves and eventually Alexander’s empire was divided among them. One of these successors was named Seleucus and he gained control of what is now Iran and Iraq. 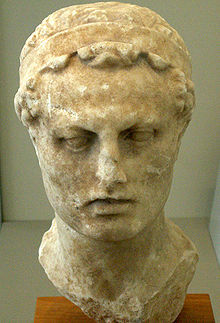 His kingdom is known to historians as the Seleucid Empire. This time is known as the Hellenistic Era. Around 200 BC the Seleucids defeated the Egyptians and gained the territories of modern Syria and Israel. During this time the Jewish religion was tolerated and respected by the Ptolemies of Egypt. During this time, also, the Greek language and culture spread far and wide among the conquered peoples. Greek culture had become “cool” and everybody wanted to be a part of it. People who adopted Greek culture could be said to be “Hellenized” from Hellene, the Greek word for Greek. This caused no little consternation among the more traditional Jews. They were afraid that in the rush to embrace Greek culture, many Jews would fall into the worship of the Greek gods and so to idolatry. So, to some extent, the events which followed were as much a civil war as a war between the Jews and the Seleucids. In the year 175, Antiochus IV Epiphanes ascended the throne of the Seleucids. Unlike previous Hellenistic rulers he seemed to believe himself a god and was eager that everyone in his realm pay divine honors to the Greek gods. For most of the people in the Empire this was no great burden as a few more gods didn’t matter all that much. For all but the most Hellenized Jews, this was an impossible demand. There was only one God. When fighting broke out between Hellenized and traditional Jews, Antiochus sided with the Hellenized Jews and in 167 sent an army to capture Jerusalem and compel the worship of the Greek gods. A statue of Zeus was placed on the altar of the Temple and the Jewish religion was banned. This sparked a rebellion and a guerilla war which was led by a priest named Matthias and his five sons. The most prominent of these was Judas Maccabeus. Antiochus IV had many other problems, especially with the Persians to the east and the rising power of Rome to the west and could never spare the forces necessary to crush the revolt. By 165, the Maccabees were able to retake Jerusalem and cleansed the Temple of the defilement of the pagans. According to legend, there was only enough oil to light the Menorah for one day, and yet miraculously, they were able to keep it lit for eight days, until more oil could be procured. These eight days became known as the Festival of Lights and to commemorate this victory and miracle, a nine branched menorah is lit. A more prosaic explanation for the origins of this holiday is that the first Hanukkah was a belated celebration of Sukkot. Whatever the truth of the matter might be, I wish everyone a Happy Hanukkah. I probably shouldn’t write anything at all about former Alabama Chief Justice and current Senatorial candidate Roy Moore and the allegations of sexual misconduct levelled against him. I do not know anything at all about the case and have no idea whether he is guilty of the accusations of sexually abusing a fourteen year old girl back in 1979. A lack of knowledge doesn’t seem to have kept anyone else from commenting on the events, so I might as well make a few general observations. First, it is too bad we don’t have an unbiased news media made up of professional journalist determined to get to the truth no matter where it leads in this country. Instead, we have a collection of partisan hacks who are more concerned about getting Democrats elected than informing the public. For this reason, it is not absolutely crazy to suggest that Moore is the victim of a smear campaign using fake news. They’ve done this sort of thing before. Even if Moore is guilty, how can we really be sure? Which brings me to the second point. The timing of these accusations is suspicious. This does not, of course, mean that they are untrue but If the Washington Post had run the story a month earlier, Luther Strange would now be the Republican nominee and the Republicans would be sailing to an easy victory. Instead the story came out when it is too late to change the ballot. Even if Roy Moore drops out of the race, his name is going to be on the ballot. Did the Washington Post sit on the story, timing its release for political advantage? It doesn’t seem improbable. Would they have waited until after the election if Moore was a Democrat? Would they have ever released the story if he were a Democrat? Who knows? The next point I would like to make is that even if Roy Moore is innocent of the specific accusations regarding a fourteen year old girl, he still seems to like young girls, at least as young as sixteen, which happens to be the age of consent in Alabama. This predilection not only makes the claim that he had a sexual encounter which a girl below the age of consent, but doesn’t reflect well on Moore at all. It is more than a little creepy for a thirty year old man to seek out dates with girls still in high school. There don’t seem to be any recent claims of Roy Moore pursuing young girls, though. Perhaps he has changed. He may have been faithful to his wife, who he first met when she was a teenager, since they married in 1985. He may have found religion and been saved, ending his old life and habits. This would be an inspiring story of sin and redemption that might go over well in the Bible Belt. So why isn’t he telling it? Instead, he is evading the issue to the point where even as sympathetic a commentator as Sean Hannity is suspicious. Aside from the sexual misadventures of his relative youth, Roy Moore is an undesirable candidate for the Senate simply because he is kind of a nutcase. Going over his political positions, he comes across as a caricature of a Christian Conservative. He seems to be more of a Christian theocrat than a constitutional conservative. If I saw such a character in fiction, perhaps in a Saturday Night Live sketch, I would complain that he was too ridiculous to be believed, and yet there he is. Roy Moore is most famous for his controversy regarding the ten commandments monument he placed in the Alabama Supreme Court building while he was Chief Justice and for twice being removed from that position when he refused to obey a federal court order to remove the monument. Now, I can’t blame Moore for going out of his way to spite the secular, anti-theist fanatics who recoil from every religious symbol as though they were vampires, and, as a private citizen, he is certainly entitled to his opinion regarding the importance of religion in our public life, but, as a judge, and the Chief Justice of the Alabama Supreme Court, he was obliged to obey the law and the decisions made by higher judicial authorities. A judge’s authority derives from the law and he cannot simply ignore rulings made by superior courts without undermining his own authority and the rule of law. A man willing to substitute his own opinions and judgements in place of the law ought, perhaps, not to be trusted to serve in the Senate. If Roy Moore is a conservative caricature, than his opponent, Doug Jones seems to be a liberal caricature, at least on the question of abortion, he opposes any restrictions on abortion right up to the moment of birth, though he seems to be closer to the mainstream on economic issues and less of a crackpot than Moore. The problem is that, at present, the Republicans only hold a bare majority, fifty-two seats, in the Senate. If Doug Jones wins the special election, that majority is down to only one seat, and it may be easier for the Democrats to gain a majority in next year’s midterm elections. It’s not an easy choice considering the damage the Democrats might do if they get a majority in Congress. I’m glad I don’t live in Alabama, though if I did, I guess I would reluctantly vote for Moore on the grounds that it is better to vote for the lesser evil of a bad man over a bad political party. It is more than a little discouraging to place political expedience over personal character, but the party of Bill Clinton and Ted Kennedy established the precedent years ago and fighting by Marquess of Queensberry rules against an opponent that cares for nothing except gaining power is a good way to lose every time.